Planner ideas with Layle Koncar! Ok, I digress. If you know me, that’s what I do 🙂 So back to my April set up! This month I’m using products from the Domestic Bliss and Carpe Diem Home collections – the gorgeous color palette & patterns in the collections paired with the sass & tongue in cheek humor are right up my alley! The first thing I do when I set up my planner for a new month is to decorate the pockets. When I open my planner, it’s usually because I have a lot to do, so having something fun to greet me back is always a nice start before digging in. This coordinating page is from the Home Insert Set. I’ll be on the Simple Stories blog on Thursday the 30th digging into how I’ve used the Insert Set & Doc It Journal to track projects upon projects upon projects on my To Do list for our home. 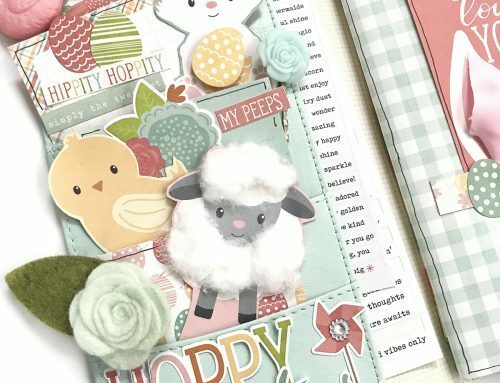 Lots of fun stuff happening here on the April month on two pages spread with washi, stickers & stamps. Washi is definitely a staple in my planners, one of my favorite things to do with it is to cover a continuous number of days to mark something, like I’ve done for our Spring Break trip. I use a combination of the Carpe Diem Horizontal Weekly Inserts and the Daily Inserts for my day to day planning. I do the decorating on the weekly spreads, again using a mix of washi and stickers. Thanks so much for letting me share my April set up with you. 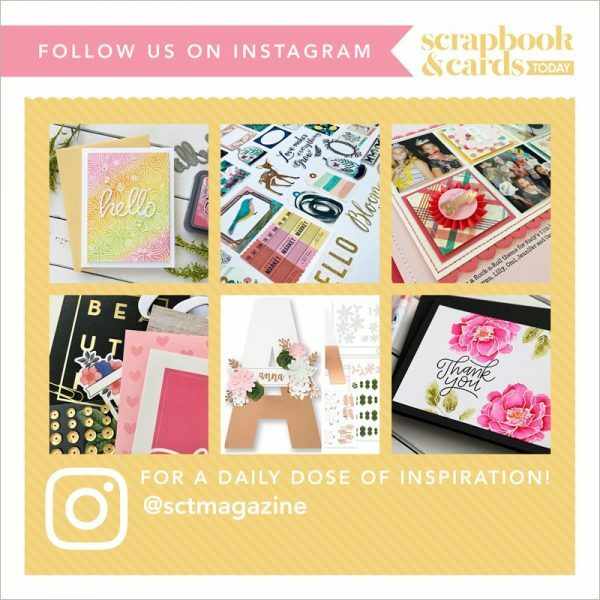 You’ll find me on Instagram here at @laylekoncar if you want to take a peek at more of my planners & Traveler’s Notebooks! See you back here again in a few months! If you are joining us as part of our birthday celebration, be sure to start on Day 1 here! 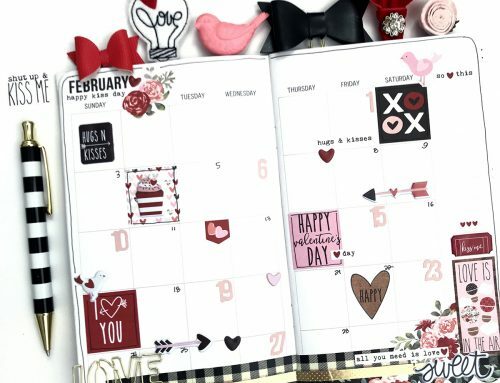 what an awesome planner, you can see her life right on those pages…so cool! Jennifer – you will love the collection, have fun with it!! Adorable planner. I just got one for Christmas and need all the help I can get as I’m so new at it! THis is just awesome!~ I was hit by a drunk driver head on and am disabled and have short term memory loss and really need a planner and have wanted one for sooooo long but cant seem to find one in my price range due to living on disability and raising 3 grandchildren. This looks beautiful ! Just what I would love to have. You did an great job on it! What a lovely planner. Just love seeing all the ideas. Lovely planner Layle. Almost makes me want to get out my old Day Timer. almost! I was able to score the Domestic Bliss stickers and that was all. The lss either didn’t get more of that line or had sold out. But they do make me a little bit more interested in planning. Cause I need a cleaning system! Love Simple Stories and your planner is lovely. great job and thanks for sharing. This looks like so much fun to create a journal full of bright happy thoughts and ideas. Thanks for sharing. 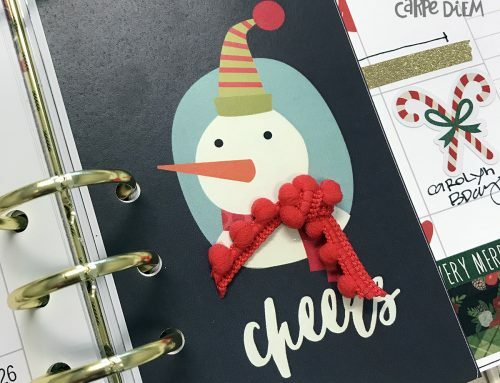 Fun planner pages! It is always nice to have a little ? to greet you before you dive into the business at ?! TFS! I so love this collection! What great ideas as to how to incorporate it into our planners! 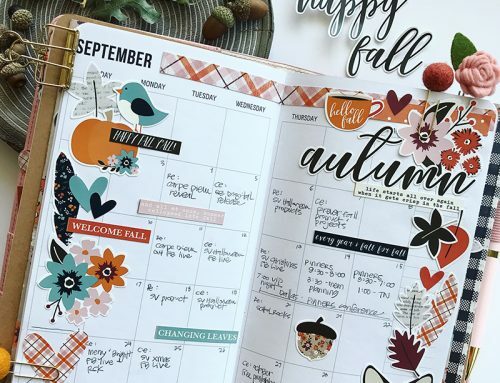 Such gorgeous planner pages! Such creativity! LOve the washi you used to add strength to edge. loved how you made date numbers just a hodge podge of stickers, written numbers, and puffy stickers too. YOur handwriting rocks!!! Love my planner but really just getting into decorating it. I wish I can follow up a planner, yes, that bad. Yours is beautiful! Love the planners! Love the layouts!